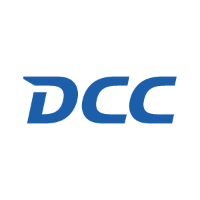 DCC plc (LON:DCC), the leading international sales, marketing and support services group, announces that DCC Technology has acquired Stampede Global Holdings Inc. (‘Stampede’), a specialist distributor of professional audio-visual products and solutions. DCC Technology also recently acquired Kondor Limited, a provider of category management services for audio and mobile accessory products to the retail channel in the UK and Continental Europe. Stampede, which is headquartered in Buffalo, New York, supplies Pro AV products including large format display, projectors, lamps, drones and accessories to system integrators, value-added resellers, retailers and etailers in the US, Canada and the UK. Stampede also provides Pro AV solutions to the hospitality, government, corporate and education sectors. Stampede partners with, and supplies products from, leading Pro AV brands such as Christie, Epson, LG, NEC, Samsung and Sharp. Stampede recorded revenue of $280 million in the year ended 31 December 2017 and employs approximately 210 people. The acquisition of Stampede, one of the leading specialist Pro AV distributors in the US, represents DCC Technology’s first acquisition in North America and is consistent with DCC Technology’s strategy to extend the geographic footprint and product range of its successful and growing Pro AV business, strengthening its partnership with existing suppliers, while also broadening its base of customers and suppliers. Kondor, based in the South of England, distributes audio and mobile accessory products to etailers, retailers and mobile operators in the UK and Continental Europe. It partners with mobile and accessory brand owners and has an extensive portfolio of own-brand products, complementing its third-party brands. Kondor also provides outsourced category management services, including category/brand management, marketing support, promotional display, brand support and advanced stock solutions, to the retail channel. Kondor generated revenue of £110 million in the year ended 31 December 2017 and employs approximately 250 people. The acquisition of Kondor is highly complementary to DCC Technology’s existing operations and strengthens its position as one of the leading omnichannel distribution and supply chain businesses in Europe. The combined initial enterprise value of Stampede and Kondor is c.£110 million. DCC expects the acquisitions to generate a return on capital employed of c.15% in the first full year of ownership.